Deep in the silos of the American midwest, a Cold War missile is being readied for launch. From Indiana University Press at Bloomington, advance copies are being mailed out this week of what is academically warranted to be the definitive statement on the Shostakovich controversy. Controversy, in current usage, is a fudge word. It implies that someone has told a lie or committed a crime but cannot be caught and is big enough to be feared. The BBC, for instance, refers to a prominent pornographer as controversial. 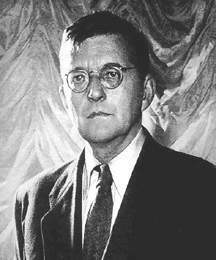 In the context of Dmitri Shostakovich, the controversy arises from a volume of memoirs, titled Testimony, which was published in New York in1979, four years after the great composers death. It recounts his sufferings under Stalin, his repudiation of communism, his caustic deprecation of famous colleagues. The memoirs were related to and edited by Solomon Volkov, a Leningrad musician who emigrated in 1976. Testimonys appearance was more shocking to western musicians - who had lazily swallowed the official line that Shostakovich was a Soviet loyalist - than to Russian audiences, who had always detected an underlying dissidence in his music, the contrapuntal commentary of an outraged humanity. The Soviet authorities reacted to Testimony with monolithic denial, marshalling Shostakovichs family and friends to attack the memoirs as fraudulent. Volkov produced several pages of his manuscript which had been signed and validated by the composer. During the 1980s, the composers son Maxim and many of his friends defected. One by one, they endorsed the veracity of Testimony. Then the Soviet state disintegrated and the simple truth became non-contentious. Shostakovich had, in the words of his close friend Mstislav Rostropovich, recorded a secret history of Soviet tyranny in his 15 symphonies and an account of his private torments in 15 string quartets. End of controversy, or so you might have thought. However, for a group of Soviet-educated US academics, the simple truth was unacceptable. During the 1990s, this gaggle of gowns mounted wave upon wave of assaults on Volkov in a bid to impose a counter-revisionist view of Shostakovich as a timid, tame Soviet citizen. Led by the godfatherly Richard Taruskin of the University of California, these dons seized control of the presses. A Taruskin ally, Laurel E Fay, wrote an authoritative Shostakovich biography for Oxford University Press, depicting the composer as slavishly obedient to Stalins whim. Indianas new Shostakovich Casebook, edited by Malcolm H Brown, assembles a sheaf of articles attacking Testimony. Brown has not submitted them for comment to Volkov in New York. So much for scholarly detachment and the spirit of enquiry. Volkov inhabits a one-room Broadway high-rise with his wife Marianna, overlooking the Hudson River which, in early-morning light, resembles his native Neva. We drank a couple of cognacs recently and I told him of fresh reports I had heard of a Russian art dealer who remembered him coming to visit the ailing Shostakovich, manuscript in hand, for verification. Volkov shrugged wearily; he has been accused by the Taruskinites of being a liar and a forger, barely acquainted with the composer. His riposte to their denigrations is a study of Shostakovich and Stalin, newly published by Little Brown, which extends the composers anti-communism to the very dawn of his creative life. It had been widely assumed, until now, that the young Shostakovich was enthused by the Bolshevik revolution, willingly celebrating its tenth anniversary with his second symphony, To October. Not so, says Volkov, who reports that Shostakovich played piano at an anti-Bolshevik meeting in 1922. His fathers death had left the family penniless and the composer hinted in letters that the Soviet system was to blame for his plight. After the success of his first symphony in 1926 he appeared to conform, but his third symphony, which supposedly celebrates the festive mood of peaceful construction is darkened, Volkov argues, by awareness of Stalins repression, of the long trudge to the Gulags. The turning point was his opera A Lady Macbeth of the Mtsenk District, which in 1936 infuriated Stalin with its rampant sexuality and its equally vivid depiction of the Gulag trains. The composer was attacked in Pravda in an article which many believe was dictated by Stalin and the opera was banned. It was restaged in 1962 in a bowdlerised version, Katerina Izmailova, which can still be seen in some Russian houses. The rest of the world has embraced the explosive original; a new production by Richard Jones opens at Covent Garden in a fortnight. The impact of state terror on the isolated composer is graphically illustrated in a new memoir by his children, Maxim and Galina (Short Books). They recall their father being summoned to the NKVD, forerunner of the KGB, and ordered to return with a confession implicating others in an anti-state conspiracy. Shostakovich presented himself next morning at the Big House in Leningrad and waited all day in a corridor  only to be told that his interrogator had himself been arrested and he was free to leave. The rest of his life was a delicate balance between the need to protect his family and the urge to bear witness. He devised codes, based on his initials, to implant messages in his score. The eighth quartet, by common consent the most personal of his works, was written in 1960 after he was made to join Communist Party. Galina remembers its original dedication page: to the memory of myself. Evidence of his moral courage and political disgust is so overwhelming that it is hard to imagine how even an ivory-towered musicologist could pretend otherwise. Yet Taruskin and his fellow-travellers persist in their version, and their persistence is powerful. Taruskin has the ear of the New York Times, the only US newspaper to deal seriously with such issues; he is also preparing for Oxford a six-volume history of western music which will embed his perverse view of Shostakovich for the next generation of students. What motivates these flat-earthers? Its hard to say without putting them on the couch, but what Taruskin, Fay and Brown have in common on their CVs is a halcyon student period in the old Soviet Union where life was spartan and Shostakovich was a secret language which no-one in the west had yet cracked. They cannot forgive Volkov for his unmasking, nor can they retract their own theories without looking like idiots. And so they flourish, these red-rimmed nostalgists, fighting a Cold War from tenured positions, heedless of the discredit that they heap on the indiscipline of musicology and on the reputation of the Soviet eras greatest hero, Dmitri Shostakovich.